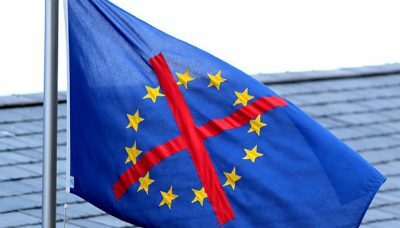 Euroscepticism is on the rise across Europe, as populists from both the left and right hold up their retrograde visions of gloriously assertive and blissfully self-reliant nation states. The installation of a populist and eurosceptic government in Italy in recent weeks, after months of political wrangling, is just the latest episode of this saga. But the patriotic visions of the future imagined by populists rest on the implausible assumption that other states will continue to honour their international responsibilities, even as they renege on theirs. The dilemmas and necessities of international cooperation cannot simply and conveniently be set aside. In this sense, populism is parasitic upon the very liberal, rule-based international order which it so energetically contests. It is rising at a moment when neoliberal centrism, the orthodoxy of the prevailing order, has run out of steam. To secure a more legitimate and cooperative global order that is sustainable, liberals need to be bold – and imagine a real alternative. The founding idea of the European Union, of closer international cooperation, emerged after a long history of clashing national projects, culminating in two world wars, with all their catastrophic consequences. This was a history of European international relations governed by political competition in which states cajoled each other by the threat, or actual use of force. Yet, as the former US secretary of state, Henry Kissinger, observed, no European nation was large enough to dominate all others, and so none could establish a lasting order. The EU, under the security umbrella of what the publisher of the German newspaper Die Zeit, Josef Joffe, called the “American pacifier”, was to transform Europe’s power rivalries into mutually beneficial cooperation. It did so with such success for much of the past half century that the reality of what international relations were like before the EU existed has almost faded from living memory. But after half a century of cooperation and partial integration, the drivers of international competition are returning with a vengeance. The US, under the presidency of Donald Trump, seems to be retrenching from Europe and the Middle East to focus on the containment of China. German political and economic hegemony in Europe is intensely felt and has already become the cause of grievances in Europe’s periphery. Russia is pursuing an assertive foreign policy that has become a source of annoyance, if not outright hostility, for both liberals and populists in the West. Meanwhile, Brexiteers presume Britain will gain a more assertive and dominant international role after departing the EU. Overall, commitment to the cooperative and rule-based international system, in place since the fall of the Soviet Union, is rapidly waning. It’s probably no coincidence that populist politicians on both sides of the Atlantic are flouting the very frameworks for international cooperation that their own liberal elites once pioneered. We are witnessing a marked shift in thinking as the balance of power shifts. Erstwhile pillars of international stability, such as the US, no longer view themselves as principal beneficiaries of the international system they established. Populists pursuing revisionist agendas now shape the foreign policy of states that acted as custodians of this international order for more than half a century. For example, Trump believes that a trade war will advance American interests. And some Brexiteers believe that weakening and disuniting the EU will expand Britain’s relative influence and importance as a revamped global power. Yet, populists should be careful what they wish for. Above all, because dismantling European integration, indiscriminate ratcheting of tariffs, or abandoning Iran’s nuclear deal are impulses, not game plans. Populists believe it is enough to “shake things up”, but respond to the question “what next?” with little more than blank stares. It is welcome and necessary to imagine alternatives, but these “counterfactual” fantasies should not become unmoored from international political realities. If the European framework for international cooperation is disbanded it is likely to rekindle nasty rivalries in Europe. Once the mechanisms, institutions and procedures that are the EU – imperfect, frustrating and lacking as they may be – are abandoned, it is unlikely this will usher in an idyllic world of unencumbered national ambition. More probable is that national wills will simply start to clash as they have so often through Europe’s history. Nor will it be simple to maintain the transnational economic integration responsible for much of the world’s prosperity without a system of rules to govern global economic activity. Instead, populists risk turning trade into a negative-sum game. Populist visions of national grandeur and facile solutions to complex problems will not abate by themselves. As neoliberal elites increasingly fail to respond adequately to trade imbalances, income inequality and other growing crises, imagining compelling alternatives has become a pressing necessity. Populist alternatives flourish, not on the strength of their argument, but on the inability of prevailing orthodoxies to provide a compelling vision of the future. That is why scenarios of glorious national self-assertion put forward by populists from Hungary to Italy, to the UK and Germany, need to be contrasted with other visions for the future that promise more efficient and less elite-driven cooperation between nations. This cooperation should devolve more responsibility to communities where possible, and frame it in ways that make it clear how Europe’s citizens are benefiting. The pressing task for those who believe that a framework for cooperative relations in Europe is a prerequisite for peace and prosperity, is to start imagining alternatives that move beyond the false dilemmas of today – such as populism versus the neoliberalism of the status quo. Instead, a positive vision must be articulated, one that addresses substantive issues such as trade imbalances, income inequality, elite hubris and claustrophobic nationalisms without compromising basic liberal values. As long as our ability to imagine new forms of community building and international cooperation is hamstrung, the prospect of a new global social contract based on mutual benefit and accountability will remain a distant dream, to our collective detriment. Max Hänska is a Senior Lectuer in Digital Journalism at De Montfort University. Vassilios Paipais is a Lecturer in International Relations at the University of St Andrews. This entry was posted in Europe, Euroscepticism, Max Hänska, Vassilis Paipais and tagged Euroscepticism, imagined future, International relations, populism. Bookmark the permalink. A transnational “rules based order” is an oligarchy. Oligarchies are closed loop systems – a system of political insider trading. Oligarchies are not liberal and, as we are now witnessing in Europe, they cannot be made liberal by a self proclaimed liberal elite. Oligarchies are neither efficient and nor are they effective – no EU policy project (from the euro through to the CAP) offers a template that the outside world is eager to replicate. Closed system oligarchies are always incompetent because incompetence is the inevitable outcome of the lack of accountability offered by closed loop governance systems. Political pressure from public opinion is not operative. Policy adjustment or repeal is not operative. The removal of nonperforming officials is not operative. On the other hand policy capture by powerful national governments and powerful economic players is facilitated. In a polity where incumbency wields such enormous leverage and public protest wields so little the illiberal outcomes quickly crowd out any liberal aspirations listed in the marketing material. So we have not seen a reduction in European national rivalry but an increase. Germany has deployed its incumbent economic power to impose its narrow national interest on the entire eurozone with devastating economic consequences for the so called Olive belt. There are now serious and bitter conflicts about Italian fiscal policy, Spanish regional policy, Austrian immigration policy and Polish judicial policy. A “rules based order” of political and economic lockstep has produced growing levels of conflict between European nations – conflicts moreover that would simply not exist in the absence of this selfsame transcendent order. A real liberal would argue that democracies do not go to war with each other. They would argue that the most successful engine for European peace has been the expansion of democratic governance across the continent. Insofar as the EU has facilitated that democratic expansion (as it did in the 80’s and early 90’s) it has played a part in bringing greater peace to Europe. They would point out that the EU is no longer playing a supportive role for democratic self governance but has instead evolved into the greatest threat to democratic self governance in Europe. They would point out that the radical and extreme levels of policy confiscation from democratic national control to technocratic EU control is an existential threat to peace both within member states and between them. They would point out that a “post democratic dispensation” is not some whizzy new paradigm to deal with the globalisation phenomenon (reframed as manifest destiny). Instead it is an old school power grab by a domestic political and economic elite at the direct expense of the voter. They would make it clear that a “post democratic” dispensation is fact a pre revolutionary dispensation. It is a policy of deliberate disenfranchisement and it is being implemented in plain view by an elite that claims to be liberal. It is worth asking why so few of these eminently liberal concerns are voiced within Europe’s ostensibly liberal political, cultural and academic elites. How has a fundamentally illiberal and authoritarian construct gained the allegiance of those groups whose central function in society is to apply critical thinking? Whatever the reasons may be the fact remains that they are not. So the voters have no choice but to summon the barbarians to clean house. An illiberal authoritarian regime has provoked an illiberal popular uprising. A Liberal rules based order is not being challenged here for the simple reason that Europe’s rule based order is not liberal…….